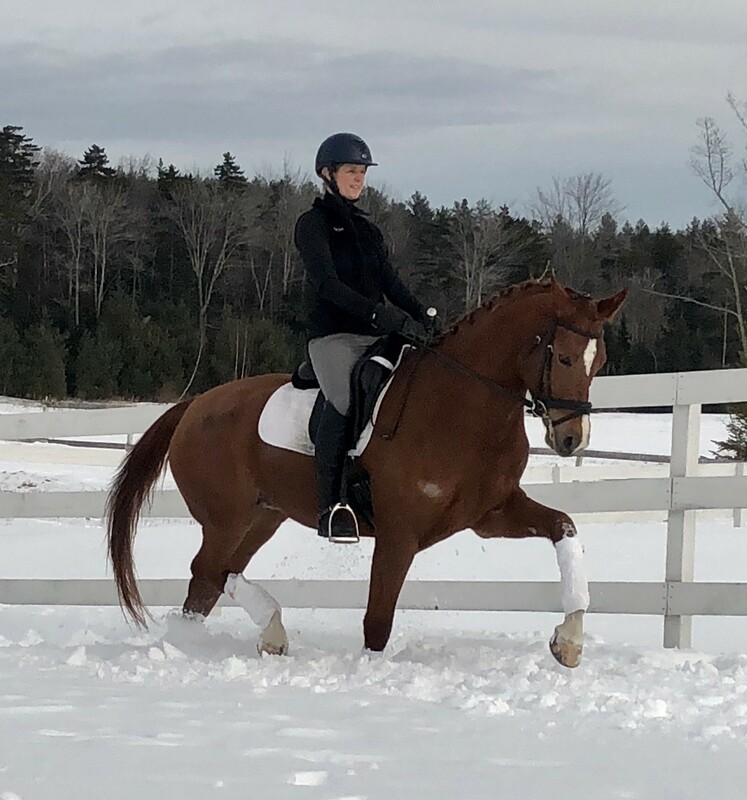 Quinn - Wonderful Young Horse with Unlimited Potential! Quinn is just plain incredible. She is a snuggle bug in addition to being gorgeous, talented and smart! This doll of a horse is a sports car, comfy to ride, nice in the contact and as fancy as fancy can be! 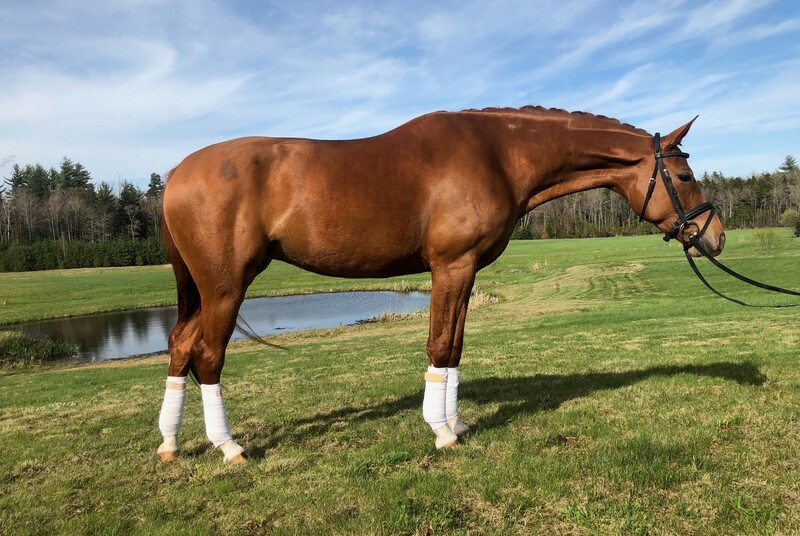 Quinn has three stunning gaits with a canter that is a dream to ride. Quinn has already proven herself in the competition arena with scores of over 74%! Quinn is a willing partner and loves her job and is very well behaved in the show arena. She is very brave and laid back, she is not hot or lazy, just perfectly in the middle. Quinn is 2nd/3rd level with a well started, relaxed flying change. 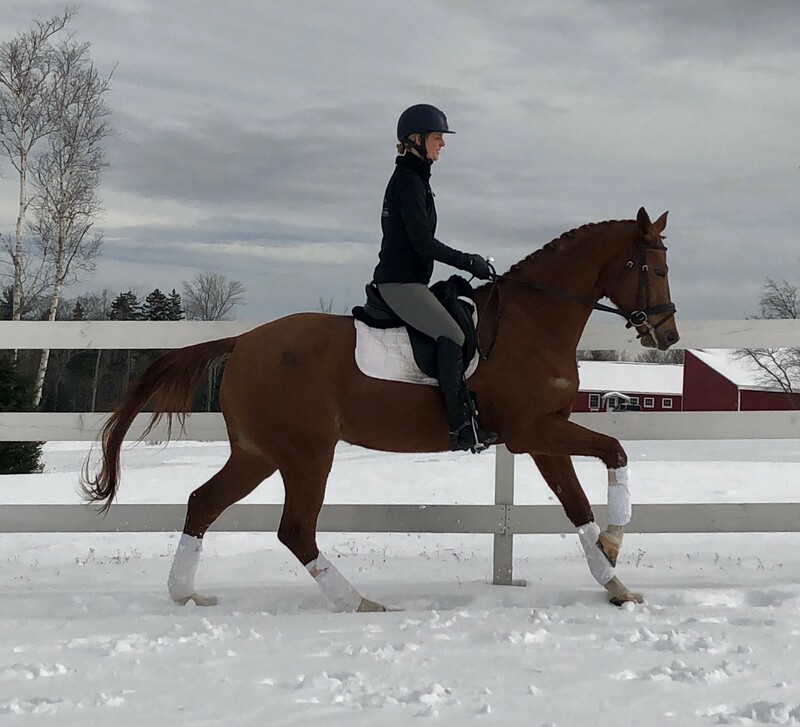 She is currently on the path to be ready to compete in the FEI 6 year-old class this year (2019). If you want a fun, uncomplicated, standout horse to love and enjoy you will adore this girl :-)! Quinn has always been sound and healthy. She was imported from Germany and is sired by the incredible stallion Quaterback! She looks and moves just like her Daddy (WOW!!). Quinn is suitable for an AA or a Pro. I am 5 feet 9 inches and due to her round body and cresty neck I fit her well, so she is the perfect size for most women.